Almost everyone is getting on board with IoT, or at least trying to work out how to. In fact, the latest estimates from IDC say 97% of utility companies in the Asia Pacific region (excluding Japan) are already dabbling with IoT to create differentiation in their markets. But is IoT being put to work in the most effective ways? The IDC study goes on to reveal there is a disconnect between the vision for IoT’s applications and the actual implementation of IoT within operations. The lack of a unified approach ultimately results in IoT strategies becoming one-off projects that don’t have the desired impact on operations. In short, this is an ineffective way to approach IoT. “With the anticipated increase in activity and IoT investments, it is critical that utility organisations use the right approach to connect different elements of their operation. Building a roadmap, accommodating for changes in governance structure, digitally enabling the operational workforce and managing change effectively, is crucial,” says Sparshy Saxena, Senior Market Analyst, IDC Energy Insights. What’s clear from the IDC’s findings is the starting point for utilities and IoT should be gaining a holistic view of an asset and all the processes, touch points and personnel that support it. This means everything from the underlying data and systems, to the optimisation of the processes, is integrated with an IoT strategy to drive health and safety, predictive maintenance, mobility and analytics and reporting. Investing step-by-step, lets you build a complete picture; firstly, to understand your assets' health and process efficiency, then to layer on predictive, preventative strategic application. The Certus Asset Insights Platform is a solution that modernises a client’s asset information management capabilities. It helps remove silos, barriers, and system interoperability issues to deliver a single view of your assets, with a solution designed to integrate all the key facets of modern asset management, in a modular and scalable way. The Asset Insights Platform gives you a clear pathway to add in new services and move up the Asset Maturity Curve as, and when, your business is ready. This provides a continuous roadmap, futureproofing your organisation by driving better value and outcomes. With the platform in place, your organisation can harness sensor and real-time data via IoT sensors, gateways and edge analytics and prescribe actions and priorities based on observed and predictive insights. What are the core benefits of the Certus Asset Insights Platform? Simplicity – Adopting the Asset Insights Platform minimises the complexities of managing multiple licensing agreements and gives you access to a range of unique Certus IP. Futureproofing – Modular and scalable solutions components provide the agility to meet the changing demands of your business with a pre-defined and predictable pricing model. Ongoing support – Full range of support and consultancy services designed to enhance your investment every step of the way, ensuring you can realise the full strategic benefits the platform offers. 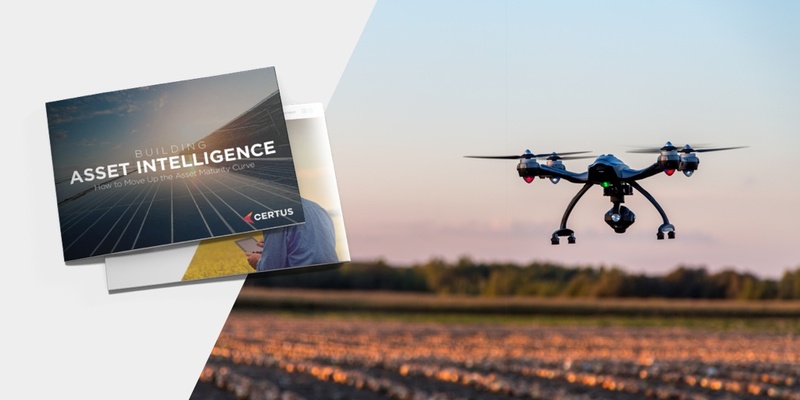 To learn about integrating IoT into your asset management strategy with the Certus Asset Insights Platform, download our Building Asset Intelligence eBook.